Ruth Dyson | Something should go here, maybe later. Browsing through yesterday’s questions I noticed this. Hon Ruth Dyson: How is the Associate Minister’s commitment to eating disorders backed up by his decision to have pies and candyfloss in, and apples out, of schools? Since National didn’t kick apples out of schools, that’s a stupid question. Hon Dr JONATHAN COLEMAN: I am very surprised that the member wants to politicise this argument. The fact is that when it comes to eating disorders Labour had 9 years but it could not get its act together; we have had 9 months and we have done it. But Labour decided they wanted to kick up a fuss. Hon Ruth Dyson: I raise a point of order, Mr Speaker. The Minister did not even attempt to address the question. He made an interesting political point, but he is required to address the question. Hon Annette King: At the answer. Mr SPEAKER: No—the member had barely finished asking her question when there was a barrage of noise from her own colleagues. I am afraid that if the question was meant to be serious, then her colleagues should not have interjected en masse in the way they did. Hon Ruth Dyson: So if there’s barracking they don’t have to address the question? Mr SPEAKER: I do not need assistance on this. To me it was very plain that the member’s own colleagues did not take the question seriously, because there was a barrage of noise. I nearly intervened at that time to make the point that if members wanted to hear the answer, they should not carry on like that. The Minister answered the question in the way that he saw appropriate and, under the circumstances, I felt it was appropriate. I am deeply impressed by what I have seen of Lockwood’s speakership.I’ve been listening to parliament from the days when Robin Gray was speaker, and Lookwood’s management of the house is easily the best. He’s easy going, never seems to raise his voice, talks plainly and yet things seem to move along at a rate that I previously would have thought impossible. What is more, ministers have to actually give answers. So the irony of Labour’s objections here are twofold. Under the previous speaker (a close personal friend of the PM who had little parliamentary experience), ministers frequently gave no answer at all. Second, Labour MPs were complaining about an answer they clearly didn’t want to hear. I don’t know if playing advantage is one of Lockwood’s innovations – but it’s a good one. If you’re going to shout down someone before they speak, don’t complain about what they say. Welfare Minister Ruth Dyson’s office says she never made a speech which has been reported in the first edition of a new on-line newspaper. Ian Wishart’s publication, TGIF Weekly, said the speech was delivered to Victoria University students on May 6 and in it Ms Dyson suggested Labour was developing policy that would recognise polygamy and polyamory — arrangements where people have multiple wives or husbands. The report, published on Friday, said the speech was evidence of a hidden agenda of social engineering. A spokesman for Ms Dyson told NZPA the speech was posted on a government website in error. He said the speech was written for Ms Dyson but she rejected it. Someone wrote the speech. That in itself says many things. What level do they hold in the ministers office? Are they still working for the minister? If so why, considering they failed to follow the ministers orders? 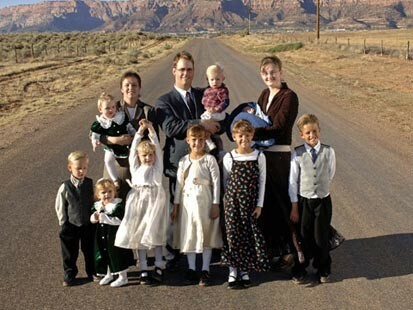 How many other people in the government support polygamous relationships? What other work have they been engaged in, and do we need to check this too? If Ms Dyson really doesn’t support this why didn’t she order the speech destroyed immediately? Or, is she fully in charge of her own office?